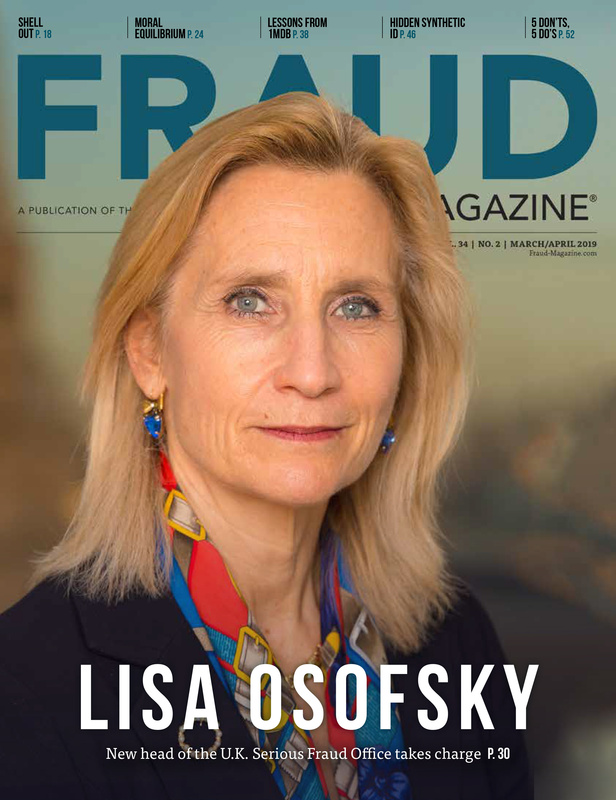 One of the creators of the venerable Fraud Triangle describes its history, rationale and uses for preventing, deterring, detecting and investigating fraud (and other crimes). 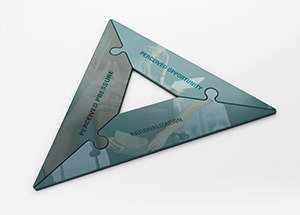 All students of anti-fraud principles — whether in higher education or on the job —eventually learn about the seminal Fraud Triangle. We can find this diagram in fraud examination, accounting, auditing and marketing literature. The Fraud Triangle is universally accepted in almost every setting in which fraud is described or analyzed. Because of my early fraud research in business, many have asked me if I was the person who first developed this triangle. The answer is yes and no. In this article, I'll present a brief history of how the Fraud Triangle came to be. Criminal behavior is learned; it's not inherited, and the person who isn't already trained in crime doesn't invent criminal behavior. Criminal behavior is learned through interaction with other people through the processes of verbal communication and example. The principle learning of criminal behavior occurs with intimate personal groups. The learning of crime includes learning the techniques of committing the crime and the motives, drives, rationalizations and attitudes that accompany it. A person becomes delinquent because of an excess of definitions (or personal reactions) favorable to the violation of the law. The essence of Sutherland's argument is that persons who engage in criminal behavior have accumulated enough feelings and rationalizations in favor of law violation that outweigh their pro-social definitions. Criminal behavior is learned and will occur when perceived rewards for criminal behavior exceed the rewards for lawful behavior or perceived opportunity. 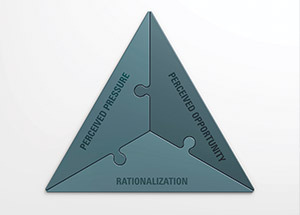 Thus, while not directly introducing the Fraud Triangle, Sutherland did introduce the concepts of rationalizations and opportunities. He stated that for embezzlement to occur, there must be: 1) a non-sharable problem, 2) an opportunity for trust violation and 3) a set of rationalizations that define the behavior as appropriate in a given situation. He wrote that none of these elements alone would be sufficient to result in embezzlement; instead, all three elements must be present. 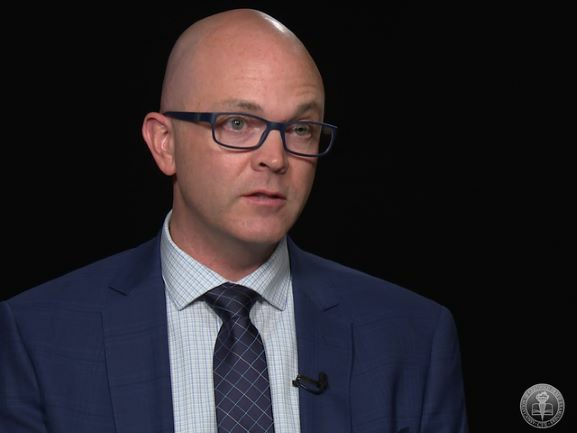 He developed this theory based on in-depth interviews with those convicted of trust violations. He claimed that all the cases he studied conformed to the three-step process. While he identified the three elements that we now refer to as the Fraud Triangle, he never drew or referred to them as a triangle nor used the term "fraud triangle." He also limited his discussion to embezzlement and not to fraud in general. However, if there's one individual who should be called the father of the elements of the Fraud Triangle, it's Donald Cressey. Sutherland and Cressey, both criminologists, were professors and researchers teaching criminology in sociology departments. Aside from Cressey's 1951 Journal of Accountancy article, we have no evidence that either ever published in business literature.